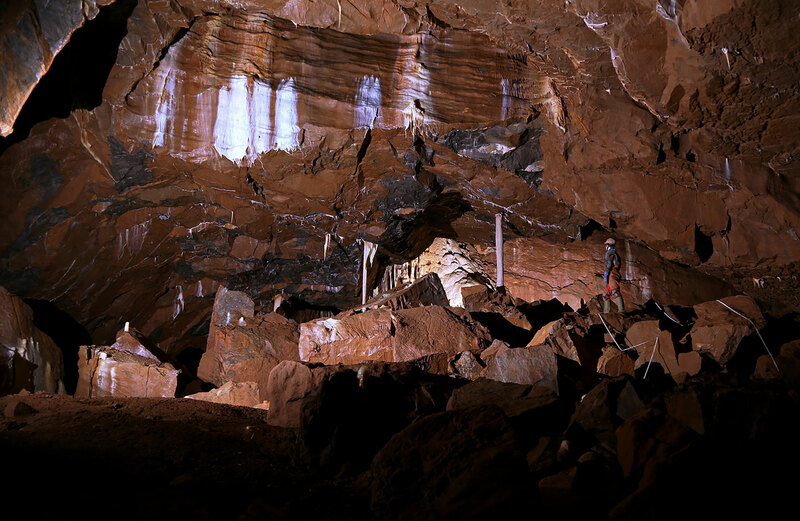 Cerberus Spelaeological Society is a registered charity concerned with the conservation of caves and their environment on on the Mendip Hills of Somerset. We are an active Mendip caving club that maintains a HEADQUARTERS/HOSTEL (for bookings follow link) on Mendip, and organise caving trips and expeditions to other parts of the UK and abroad. We also have an active climbing/mountaineering section. Want to TRY CAVING. Join us for a beginners caving trip on Mendip. Find Out More Here. Further information about us and our activities can be found on the following pages. The Mendip Hills (commonly called Mendip) is a range of limestone hills to the south of Bristol and Bath in Somerset, England. Running east to west between Weston-super-Mare and Frome, the hills overlook the Somerset Levels to the south and the Chew Valley and other tributaries of the Avon to the north. The higher, western part of the hills, covering 198 km2 (76 sq mi) has been designated an Area of Outstanding Natural Beauty (AONB), which gives it a level of protection comparable to a national park.